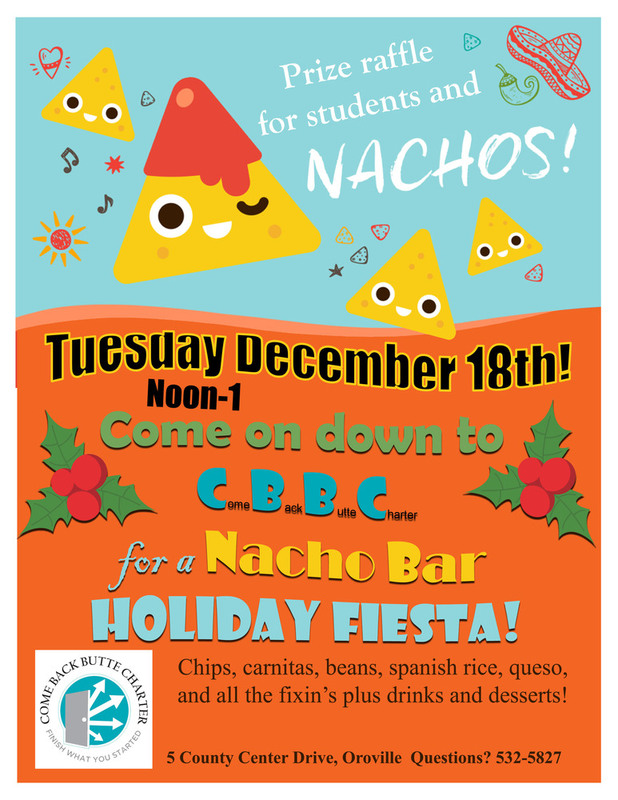 Join us Tuesday December 18 from Noon to 1 for the CBBC Nacho Bar Holiday Fiesta! There will be a full nacho bar, drinks and desserts as well as prizes for students to win in a raffle! Friends and family welcome. You don't have to bring anything but if you *want* to bring something, there's always room for extra desserts or guacamole! We hope to see you there! It will be in the Mandarin room down the hall from the CBBC computer lab at 5 County Center Drive.